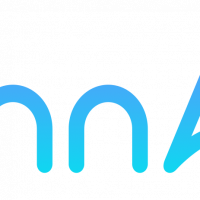 Telecom Square Announces the Launch of AR Navigation Application "PinnAR"
TOKYO–Telecom Square is excited to announce the launch of “PinnAR”, an AR navigation application that will guide users to their destination. Available in 4 languages, the app can be used when travelling to Japan as well as anywhere around the world. The intuitive navigation is perfect for those who have difficulty reading maps as well as those who are unable to type the location they are searching for. “PinnAR” has three main functions. Use the camera to scan words from signs or printed material and easily search for a destination. Even when users are unable to read the language or type out locations in the search menu, they are able to search for destinations. In AR navigation mode, markers overlay reality to guide users to their destination. Users simply have to move towards the arrows on their screen to reach their destination. Utilizing the information on Google Places, users can look for various places near their current location. In available areas, users can search for places from 15 different categories. Available categories: train (stations), bus (stops), restaurants, cafes, bars, shopping, hospitals, hotels, ATMs, convenience stores, taxi stands, leisure, museums, electronic shops, nightclubs. This service is available in countries supported by Google Places. “PinnAR” is a convenient app for those who travel around the world, and there are many more updates to come. “PinnAR” is free to use and can be downloaded below. Telecom Square Inc. is a pioneer in the international mobile communication rental business, providing services to inbound and outbound customers for 26 years. Telecom Square has a total of 20 stores and counters in New Chitose, Narita, Haneda, Kansai, Chubu, Fukuoka, and Takamatsu Airport, and we operates a 24/7 contact center. Telecom Square received its Privacy Mark in 2011 by implementing measures to protect its customer’s personal information.